Our academics are leading the way in fields such as human rights law and international law, with 99% of research rated as 'internationally recognised' (REF 2014). All of our LLB courses are qualifying law degrees, which means you can make the next step into a legal career with complete confidence. You can obtain an additional diploma from the National Association of Licensed Paralegals as an extra benefit of studying with us. Our staff include current or former solicitors and barristers who have particular expertise in human rights and international law, but whatever your interest you’ll enjoy a wide choice of options – from intellectual property and commercial law to evidence and crime and criminality. We have great facilities, including a chamber for moots and mock trials, and you’ll benefit from our strong links with legal bodies and law firms, who provide speakers to inform, inspire and provoke new thinking. You’ll receive a comprehensive legal education with the chance to put your theory to the test. Many students take the chance to volunteer at our Legal Advice Centre, joining local solicitors in giving their time for free to support real people with real cases. 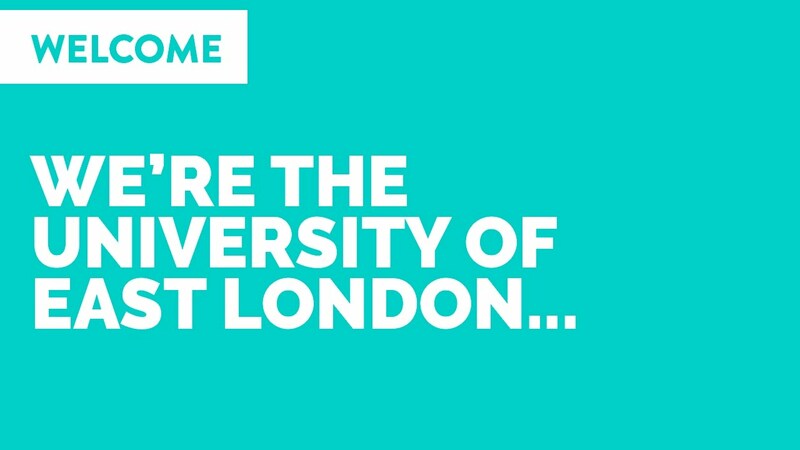 My sister studied at UEL and had a very good experience so I felt confident it was the best choice for me. I love law and my time at the University was really positive and has opened up new horizons – one of them being a place on the Civil Service Fast Stream graduate scheme. The Law department has its own Mooting Room to take part in mooting and debating. Our moots and debates are judged by internal and external volunteer solicitors and a magistrates’ court District Judge so that students can continually improve their skills. In addition to this, students can make use of available court rooms at Stratford Magistrates’ Court. The UEL Law Clinic is a learning facility for students in our School of Business and Law. Students have the opportunity to volunteer or apply for pro-bono work and offer free written legal advice to members of the public who are unable to pay or obtain legal aid. Both libraries are open 24/7 during term time, giving you maximum flexibility about when you choose to study. As well as visiting our libraries in person, you can also take advantage of our growing collection of electronic resources, including e-books, e-journals and databases. Our staff have wide-ranging research interests, constantly keeping up to date with the latest issues, trends and new thinking in law and the legal profession. The Centre on Human Rights in Conflict focuses on a hot topic rarely out of the news: the complex and dynamic relationships between human rights and conflict. Human rights and international law in general are particular strengths of UEL and you’ll benefit from this knowledge with a Human Rights module, which we teach to all undergraduate students. As our staff keep abreast of new research, you’ll be kept up to date, too. You’ll be taught by active researchers, many of whom have worked in the legal profession – and some of whom still do. Other research interests of UEL’s law staff include medical law and ethics, financial and company law, consumer rights, children’s rights and youth justice, Islamic law, confidentiality and whistle-blowing. Studying law sets you up for a huge amount of varied careers, both within the legal sector and in related fields. That’s why we offer a diverse range of courses as well as dedicated careers guidance for our students. Studying one of our qualifying law degrees will set you up for a career at the bar, but you could decide to use your legal knowledge to teach, work in charities, work for government organisations, champion human rights, work in environmental law, journalism, construction, finance, policy advice and a huge range of other related fields. We offer courses with specialisations in areas like Business Law, International Relations and Criminology for students with specific interests, but all the LLB degrees give you virtually unlimited options. Our postgraduate courses follow a common structure but give you the chance to opt for a specific pathway. These pathways align to legal specialisms including Human Rights Advocacy, Transitional Justice and Conflict, Business and Financial Law, and International Law and Legal Practice.